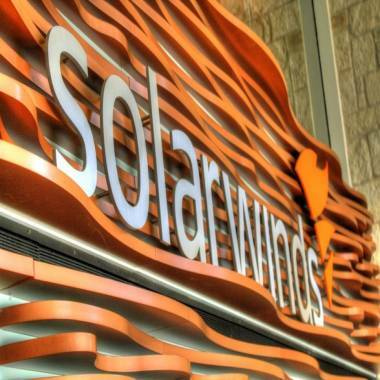 Austin, Texas-based SolarWinds offers IT departments affordable software to monitor networks and servers. The U.S. economy is plodding along in its recovery from the recession that stretched from December 2007 to June 2009. The annual GDP growth rate has been a pitiful 0.5% on average during the past five years, but it is not all bleak. There are companies from aerospace to health care to steel that are booming. Forbes' annual ranking of America's Best Small Companies highlights those companies that have experienced strong growth over the past five years. Topping this year's list is the software outfit SolarWinds. The Austin, Texas-based company is one of eight software firms that made the final cut. Internet data traffic is expected to triple over the next five years, according to Cisco Systems. Despite its green energy name, SolarWinds is in the middle of the trend. Led by CEO Kevin Thompson, the company offers IT departments affordable software to monitor networks and servers. Aiming for 80% of the functionality of rival offerings from IBM and Hewlett-Packard, the company sells its wares for one-tenth as much. Such savings have fueled annual sales growth of 38% since 2006. Donald Yonce, a former Wal-Mart executive, co-founded the company in 1999 and served on the board until 2010. His 15% stake is worth $640 million, thanks to a 140% jump in the stock over the past year. Education companies ranked No. 2 (Grand Canyon Education) and No. 3 (American Public Education). For-profit colleges have been under fire in recent years for high dropout rates and saddling students with significant debt, but these two have held up better than most. Grand Canyon's stock has doubled since its 2008 IPO on the strength of annual earnings growth of 236%, which is the best rate among the companies on our list. American Public has expanded its offerings to include programs like one with Wal-Mart that teaches 2,800 employees and has the retailer committing $50 million over three years to pay for books and tuition. Sales growth has averaged 44% a year since 2006 at American. Gun maker Sturm, Ruger clocks in at No. 4. The company, founded in 1949, has been on fire with annual sales growth of 51% since CEO Mike Fifer arrived in 2006. Fears about President Obama's position on gun control and shootings like the one in Aurora, Colo., has gun ownership at a near 20-year high. Ruger pushed out eight new models of guns over the past 12 months and new models accounted for 38% of sales through June 30. Job growth has been sluggish during the economic recovery, but most of our top 100 companies added headcount the past three years (only four reduced the number of employees). Electronic health records software maker Quality Systems ranks 43rd and has been a member of our Best Small Company list for 12 straight years. As doctors and hospitals move towards digitizing their records, Quality Systems has ramped up hiring, adding more than 900 employees during the past three years.